Ich versuche die ganze zeit geld von HFX Global Ltd zurück zu bekommen!!! leider klappt das nicht!! Ich habe meine Gewinne dort gemacht, jetz haben die mein Konto gespert und reagieren nicht auf meine E-Mails!!! Wer kann mir da helfen?? ich möchte nur mein Geld auszahlen!!! Haben sie deine Geld überhaupt zurück emphnagen? I am a new customer to Hfx.com but can already see their wide range of trading options, platforms, and strategies for investors. The comprehensive services at HFX enable traders to reach specific financial objectives during all market conditions. Made my first deposit and started smoothly to trade and maybe it’s just beginners luck but I’ve made some profit. I have tried many Forex companies but have never felt as comfortable as I am with HFX. Their site is easy to navigate and their staff are always available to answer my queries. Forex broker offers a unique referral bonus for traders who refer a friend to the brokers system. I referred a friend 6 months ago and the small incentive has grown into a fair sum. I am always impressed with the service I receive from HFX Forex and I hope to continue with them. This is one of the most respected on-line Forex trading firms in the industry. 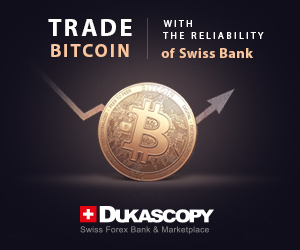 They offer you State-of-the Art on-line trading platforms, fair dealing practices, and excellent customer service. HFX promise that they provide you with the tools you need to compete in today’s financial markets. HFX already had the attention of the FPA . A company employee left 2 fake reviews and also made a post in the forums claiming to be a happy client. HFX.com had a 1.3 Star rating before getting an FPA Scam finding. In October, 2011, FPA member cmingoti filed an FPA Trader’s Court case against HFX. She reported that she had made an initial deposit of $1000 and had received a bonus of $500. She was told she had to trade 125 full lots to withdraw her funds. She did, and her account had been locked and HFX accused her of hacking. After the case was opened for public discussion, an HFX employee showed up and posted evidence showing a single out of market trade as “proof” that cmigoti had somehow hacked HFX’s system and was trying to defraud the company. He later presented a few more graphs, but those did not show enough data to indicate if any trades were off-market or not. The company claimed that 1.5% of her trades were off-market. Questions were asked of the representative, but direct answers were not given to many of them. The vote came in as Guilty. In May 2013, FPA member Najeeb Bubayis filed an FPA Trader’s Court case against HFX. He reported that he invested $10,000 and then added another $90,000. He further reports that someone at HFX was trading his account and did not provide requested stoploss, resulting in a margin call . He showed an email where an HFX employee claimed regulatory registrations that did not belong to the company. HFX was contacted by the FPA and invited to join the discussion. There was no response. Najeeb filed a chargeback with his credit card company. On July 30th, an HFX representative posted in the discussion claiming that HFX had refunded the money. Najeeb later confirmed getting the money, but posted that he only managed to reclaim it by using a chargeback. In July, 2013, FPA member turki filed an FPA Trader’s Court case against HFX. He reports that he initially deposited $10,000 and traded for himself. Later, someone at HFX convinced him to allow an HFX employee to trade the account and promised large profits if he would add another $10,000 deposit. Turki deposited the money and bad trades by the HFX employee reduced the account to $1400. HFX was invited to post their side of the issue, but did not reply in either of Turki’s threads until after the Guilty vote come in. It invited Turki to email the main support address. He reported that he’d already done this and hadn’t gotten a reply. These 3 cases resulted in Guilty verdicts. 1.5% of all trades being off-market sounds more like news trading or bad luck than anything planned by the trader. Whether you call it arbitrage, lag-trading, or hacking, one example of an off-market trade doesn’t qualify as proof a trader has done anything wrong. If HFX’s representative had been more willing to answer questions directly and provide more evidence, he might have changed people’s minds about this. Since he didn’t deal with questions, we see no reason why this client isn’t owed 100% of her profits on all of her trades. Pressuring clients to deposit more money while dangling the lure of big profits is a good way to get more deposits. If the HFX.com employees had been able to deliver on the profits, it could have been a good business model. Promising fast profits while delivering big, fast losses is not a good business model. It’s a deceptive way to remove money from clients. Claiming that a company has refunded money when the client reports getting it back via chargeback means that someone isn’t telling the complete truth. The client stuck to his story. HFX’s representative didn’t bother to address the issue when it was brought up. There’s also what’s claimed to be an email from another employee showing incorrect information about HFX’s regulation. Since neither HFX representative was in a hurry to join discussions or answer questions in a complete and open way, both have been banned. If HFX.com wants to have a new representative to the FPA, they need to contact FPA HQ. Based on all of this, HFX.com has been declared to be a SCAM and is blacklisted by the FPA. The requirements to have this fixed are in the Scam Finding. The FPA recommends against opening accounts with HFX.com or any related company. If you have an account there, we recommend withdrawing your funds immediately. If you have any problem getting your funds out, contact the authorities. Worst account managers on the planet they only care about making money for themselves. And the worst they are not paying me. It’s been more than 2 months i requested to close my account and now I am going to the court against them. I have been with HFX for the past few years and I have been impressed with their service. 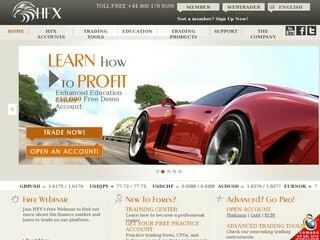 HFX is one of the better forex companies I have worked with. Whenever there has been a concern it was addressed immediately and I have been happy with my account manager. What more could you ask for?